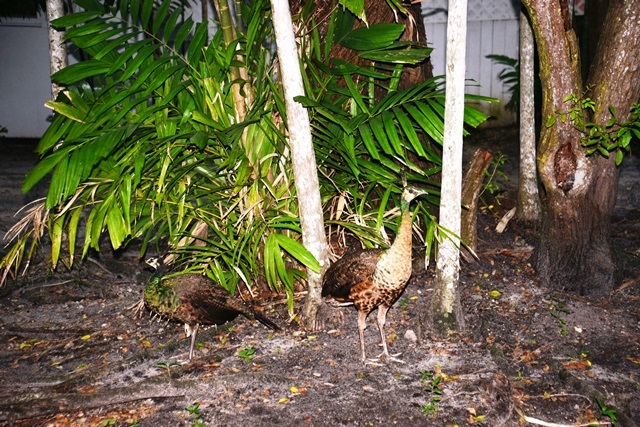 It is easy to become jaded in the world today; however there are still those moments that fill us with wonder, if we are willing to run around someone’s else’s neighborhood and try to coax a mom and her baby’s to pose for a picture. Undoubtedly, babies, whether human, animal, or even plant life, have a way of bringing a special smile to our face and for a second or two, filling us with hope. 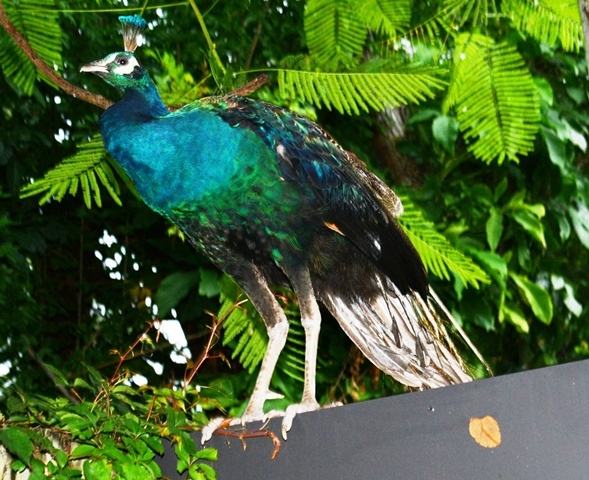 Coral Gables is well known for their peafowl, and I have previously featured these beautiful creatures; but nevertheless, when Kate spotted this peacock perched on the fence, we did pull over to enjoy the View from the Road, however, I did not reach for my camera until I saw the peahen and her babies! 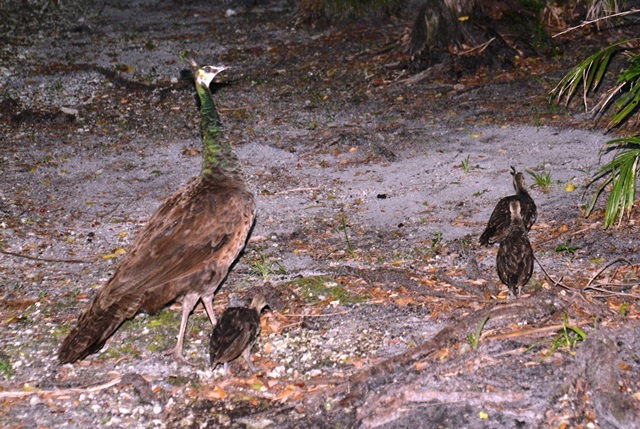 Quite a muster of peafowl! 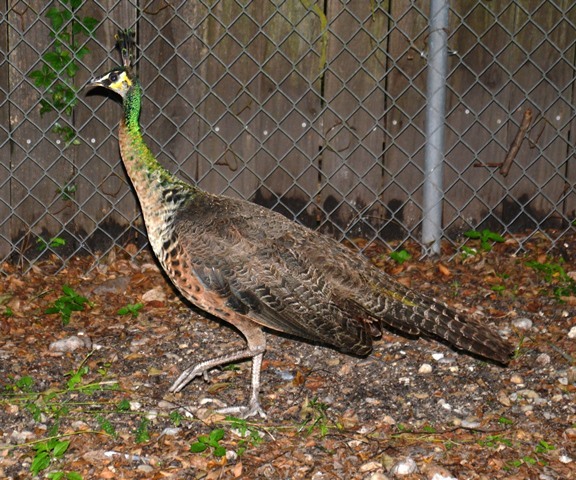 The link below will lead you to our previous post about the peafowl of Coral Gables; those pictures were taken earlier in the day, thus the colors are much more dynamic; however, on that particular day, I did not happen to see any baby peafowl. 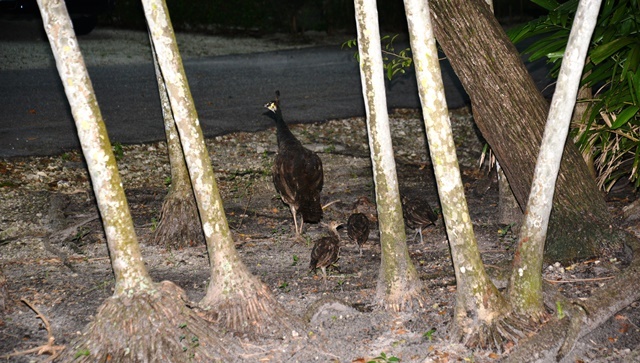 The next link is to the baby turkey’s we featured last November.